Dales Way walkers finishing the long-distance trail are now heading in droves to pick up their Completers certificates directly in Bowness. 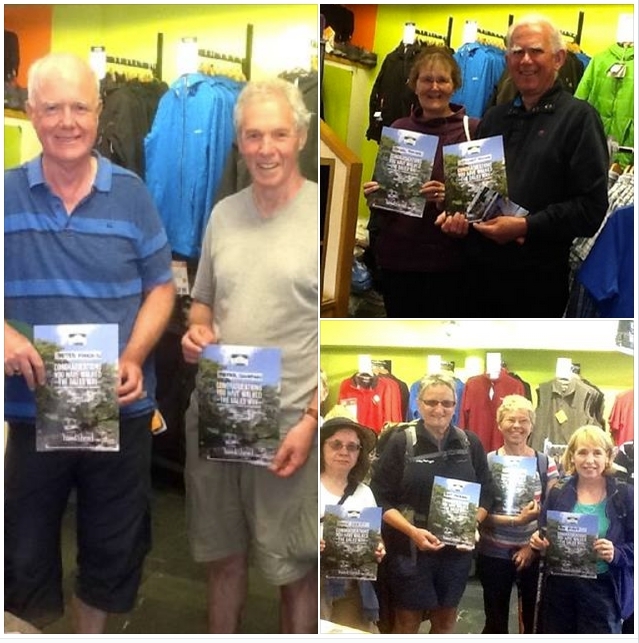 The new certificates are being offered free by Hawkshead outdoor outfitters at their shop in Bowness-on-Windermere, at the end of ther trail. And, for every certificate issued, Hawkshead will donate 10p to the Dales Way Association! Since the start of the season there’s been a steady stream of Dales Way walkers arriving at the store. The Bowness store is at 7 West End Buildings, Kendal Road, Bowness, LA23 3EE, Tel: 015394 48694. The shop is open Mon – Sat 9.00 – 5.30 & Sun 10.00 – 5.00. This entry was posted in Uncategorized and tagged Bowness, Certificate, Dales Way completers, Hawkshead on June 14, 2014 by DWA.